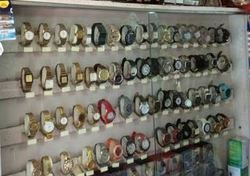 Sajan Watch Care Established in 1985, we are a third generation business offering high quality watch repair with latest technology. We are self serving watch repairing service center for all watches brand such asTitan Rado Timex Omega Sonata Bentex HMT and all branded and non branded watches. Driven by a vision to achieve significant growth in this industry, we are providing a premium quality array of Kids Wrist Watch Repairing Services . Start with "Introduction to Watch Repair" to learn the basics. This is for the beginner who has never worked with watches and for those who want a better understanding of the basics to correctly get started in watch repair.